Himalayan Jewellery, sourced for Salago by Ibu Indah. Growing range of Tibetan jewellery new pieces being added each month. Earrings with semi precious stones mounted on .925 silver also necklaces handmade by Tibetan refugees. 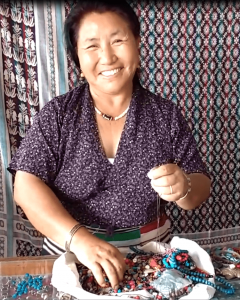 Photo of Dawa busy piecing together a necklace working with such skill and speed to produce something quite exceptional. Salago’s support for what she creates, enabling her children to go to University in India. 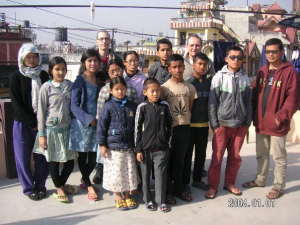 All these products from Nepal also provide funding for The Grace Orphanage in Kathmandu.